Violin, mandolin, and guitar player available for performance, recording, and video work. Find and compare Mandolin Players on GigSalad by selecting your event location above. A Mandolin Player can be the perfect choice for events and parties of all types, and on GigSalad it's free to browse, compare and get quotes from Mandolin Players near you. 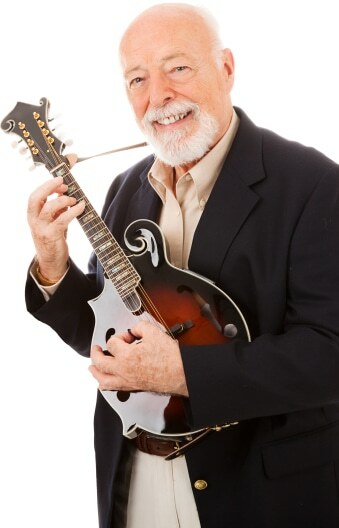 The mandolin has found a popular niche in country music, old-time southern music, bluegrass and in folk music. In rock and roll, the mandolin has made increasing appearances, as heard in R.E.M. 's "Losing My Religion" and "You Are The Everything" and in Rod Stewart's "Maggie May". Hiring a mandolinist is a great option for a variety of events from corporate events to private parties and weddings. There are a few things you should consider when hiring a mandolin player. First, listen to audio and watch video samples. You want to be sure you are satisfied with the sound and look of the performer before you book him/her. Next, get references and read reviews. Talk to people in the area who have seen the performer and/or have booked them in the past. Feedback is the best way to ensure you book the best. If you are looking for a mandolin player for your band, check to see if they can adapt to different kinds of music and if they play well with unfamiliar bands. Last, always get a contract. Read the contract carefully and work out any details in regards to deposit requirements, length of performance, scheduled breaks, attire, travel, and lodging. Watch for specifications made by the performer and be sure you can meet them.